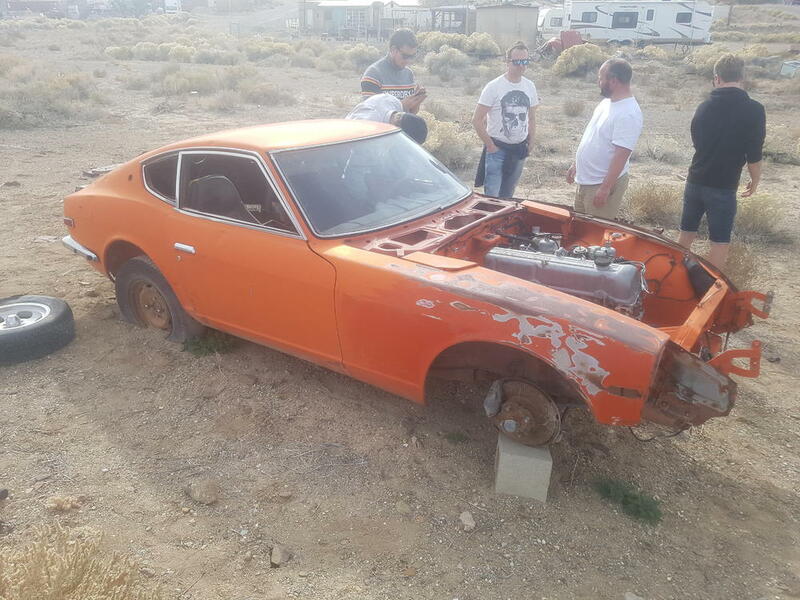 Looking to buy a 70-71 240Z roller or back half of car. Rear end must be in original condition (repaint(s) okay) with no accidents, no bondo, all original factory panels in place. Guys, Please don't cut that car in half! Hiyabrad, maybe purchase Sving1s entire car and transfer all your good stuff over to it? Hey, is that guy on the far right taking a leak on the tumble weed? is that guy on the far right taking a leak on the tumble weed? I don't know, but the guy with the skull shirt looks like Jesse. I'm betting that Walt is in the camper cooking. At this point in time, I think it's safe to say that cutting up a straight, rust free shell is sacrilegious. Doesn't look like it's the right year anyway.